Thread facelift is a safe, convenient and simple alternative to the traditional facelift surgery. Designed to be less invasive than the other facelifts, Omega Thread Lift can reduce sagging skin around the cheeks, jawline, and neck more quickly and with less risk than the conventional approach. It is for people experiencing early signs of aging, such as minor facial sagging. This innovative facelift procedure can be performed in just one or two hours. During a thread facelift, the surgeon inserts thin dissolvable threads into the dermis of the skin to regenerate skin cells and give a lift effect. Moreover, this thread lift is known for its safety. PDO Omega thread is approved for the safety from KFDA. These threadsare cog threads that are attached to the skin tissue and are then pulled back to lift and smoothen the face. Omega threads slowly melt inside the skin within 6 months to 1 year. It is one of the most popular procedures nowadays that avoids side effects and complications afterwards. Almost immediately, treated areas will be lifted slightly, eliminating sagging skin and giving you a rejuvenated appearance. 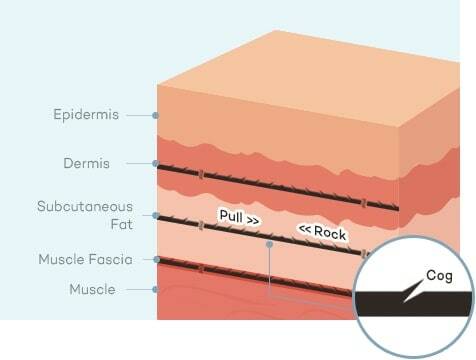 Omega thread lift will regenerate the skin cells around the area and improve wrinkles, skin elasticity, and tone. 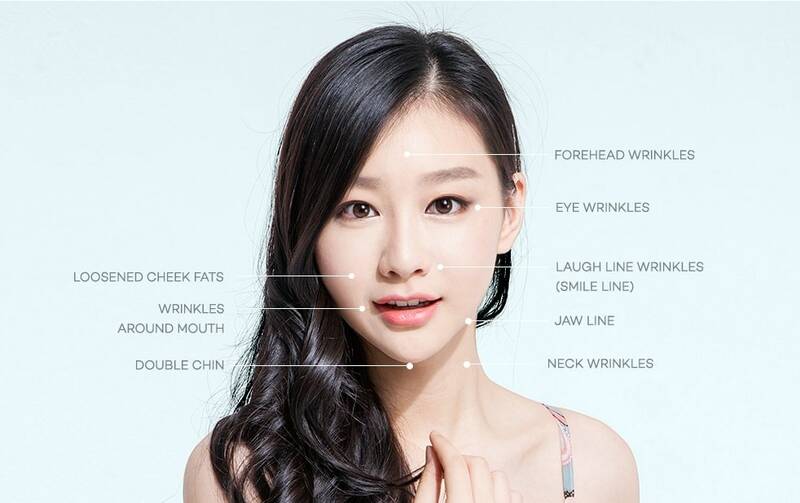 Moreover, it gives the effect of a slimmer v-line chin. Once the threads are knotted, they become hidden within the skin itself, and any scarring that results from the procedure will be virtually invisible.